The designations of cousins beyond "first cousin" have always confused me, and tonight while putting Jude to bed I started thinking about it and decided that I would figure it out and then blog about it. First cousins are the children of your parents' siblings. Most of us understand this one. Second cousins are your parents' cousins. Third cousins are your grandparents' cousins. The removed part designates the generation. A first cousin once removed would be your first cousin's child. A second cousin once removed would the child of your parents' cousin (since, remember, your parents' cousin is your second cousin). A second cousin twice removed would be the grandchild of your parents' cousin. This is my first cousin, Jody, and her daughter, Annie. So Jody is Jude's second cousin. And that makes Annie Jude's second cousin once removed. 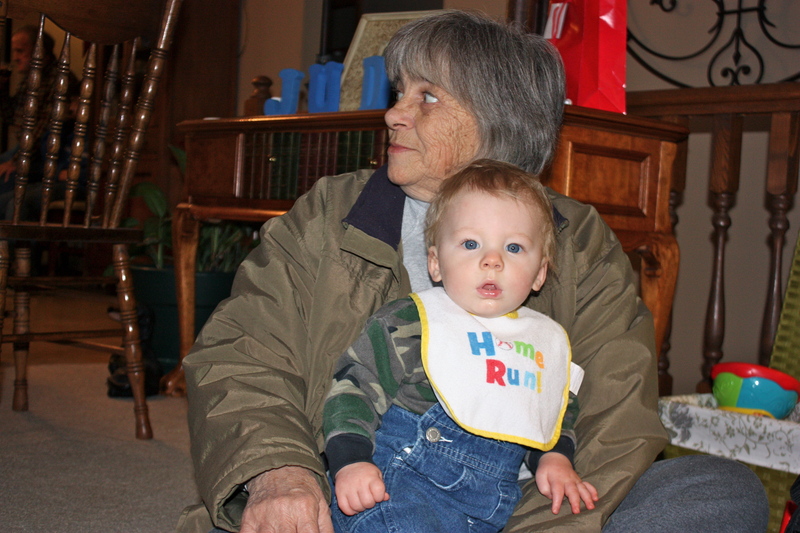 This is my mom's first cousin, Linda, and her grandson, River. So Linda is my second cousin. River is my second cousin twice removed. Which means that Linda is Jude's third cousin. And River is Jude's third cousin twice removed. 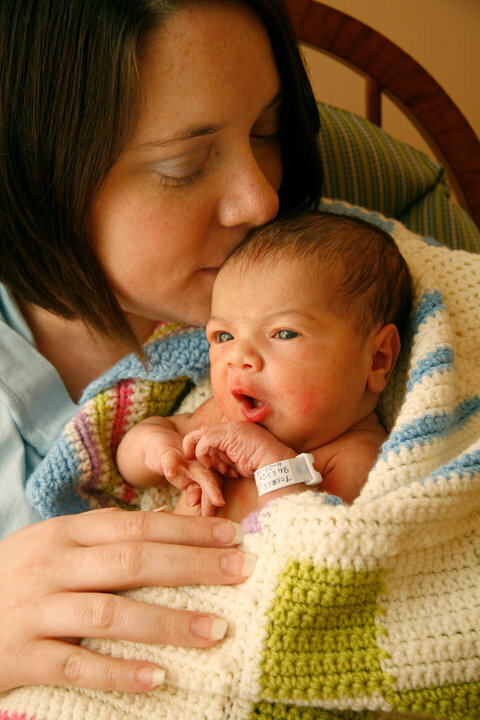 This is Emily and her daughter, Ginny. Emily's grandmother and my mom were sisters (I say "were" because Aunt Betty went to be with the Lord a few years ago). So Emily is the daughter of my first cousin, making Emily my first cousin once removed. Ginny, therefore, is my first cousin twice removed. That makes Emily Jude's second cousin once removed. And Ginny is Jude's second cousin twice removed. Well, I hope that helps explain things a little better! If nothing else, I enjoyed showing off some of the beautiful babies in my family! How awesome that you have examples of all that! My grandma is like that...she knows the names of all the types of relations because she has in mind specific examples of real people she has (or has had) in her family! Aren't cousins great! ?